With so many posts about individuals displaying their altars, I felt it would be good to start out a megathread for everyone to put up and present it right here. To put up a picture from imgur, create an account over there and easily copy/paste the image to your photographs web page – additionally they have a handy “add” button. Simply be cautious to not submit it to the gallery as a result of they will not have any thought what you are posting about. Heh. As soon as you’ve got uploaded it, click on the image and the URL is on the correct facet of the web page. Copy/paste that right here! 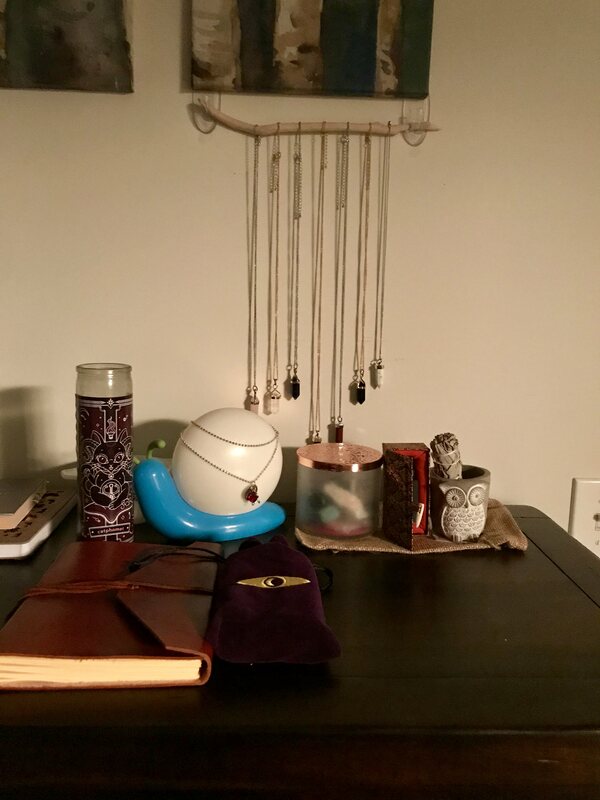 Mine is a [little newbie altar](http://i.imgur.com/vCRHEMD.jpg), but I like the minimalism of it. Crystals are either hanging pendants or in the frosted jar. I have my tarot cards and grimoire front and center. Catphomet usually houses a candle, but it just burned out. I’m looking forward to getting an incense burner and collecting some other treasures once it warms up a bit. First time using imgur, hope I did that right haha! It’s rarely organized but I love it! I hope I did the link correctly…haha. It used to be on a window sill but we had to put up insulation plastic for the winter so it couldn’t stay there. The basket it’s on has all the extra candles, linen handkerchiefs, and seasonal decorations I’ve collected. This is the way my altar is currently dressed. The lyre-bird and emu feathers and that string of red coral beads were recently given to me by two very dear friends. 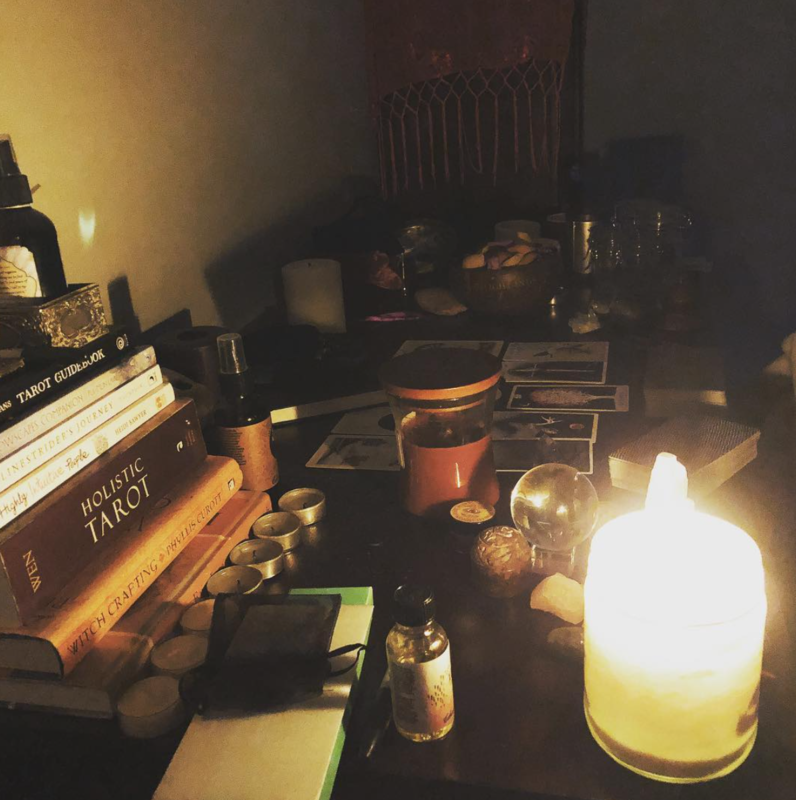 The current state of my altar. I’d like to add some art on the wall behind it. It’s roughly separated by moon/winter and sun/summer. I like the dichotomy. 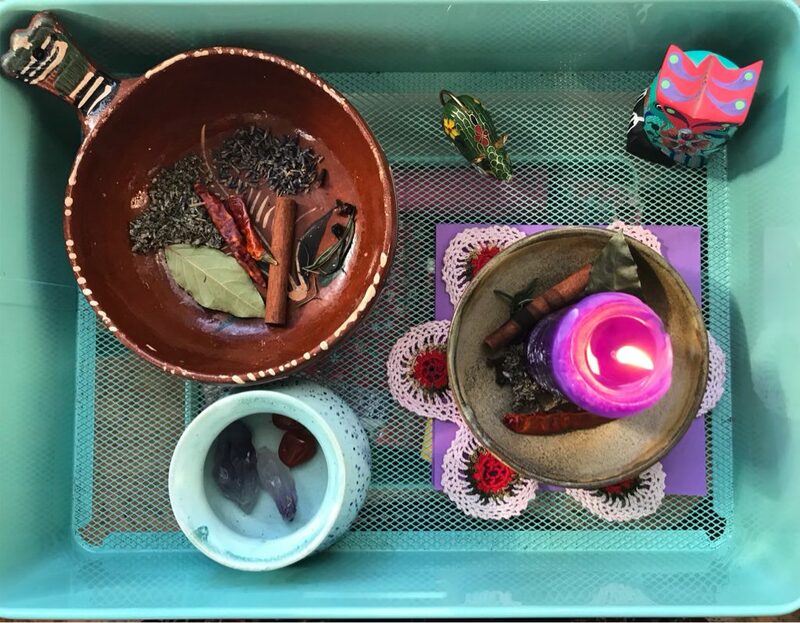 So this my first altar, and, although it’s simple, I’m super proud and I really think it looks awesome. Sorry for the bad quality, this is in my attic, so the lighting isn’t the best, and my phone’s camera isn’t the best either, so yeah. Figured I may as well post mine, even if I am late to the party. Imbolc altar set up in the garage.